The science or program of therapeutic application of contact lenses to alter the curvature of the cornea (front part of the eye), especially to reduce nearsightedness and certain types of astigmatism. 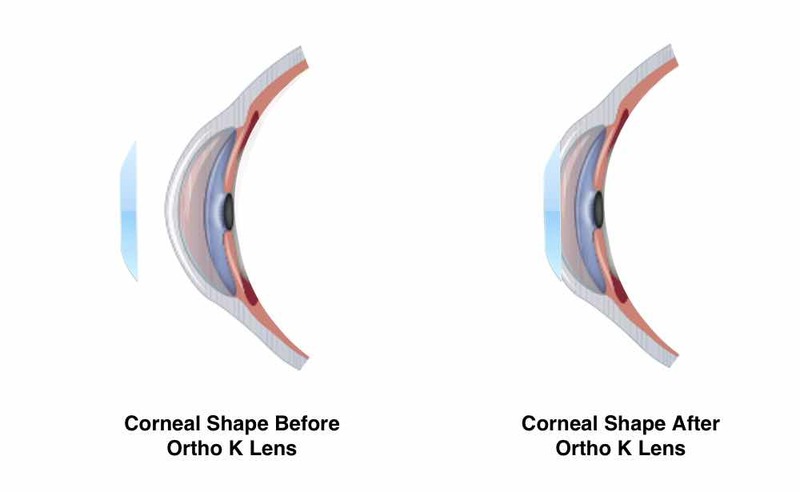 Orthokeratology (Ortho-K) or Corneal Molding is a non-surgical procedure to reduce one's nearsightedness. WHAT IS INVOLVED WITH CORNEAL MOLDING? Each patient is required to have a comprehensive eye health examination. If your prescription falls within a certain range, further testing will be done. An extensive corneal mapping (Corneal Topography) will then determine if you are a good candidate for this procedure. You will then be fit with molding contact lenses. These molding lenses will only be worn while you sleep. 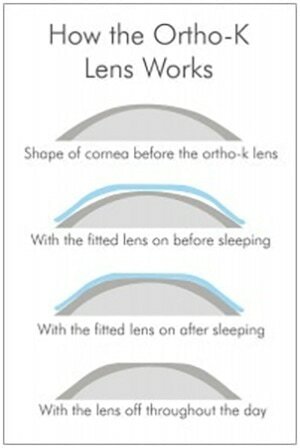 Each night these lenses will gradually flatten your cornea thereby improving your vision. 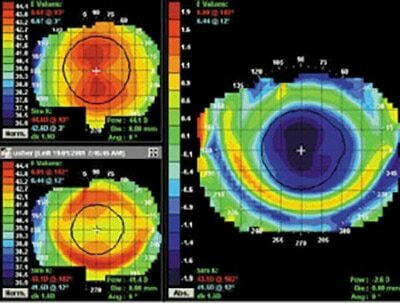 IS CORNEAL MOLDING AN ALTERNATIVE TO REFRACTIVE SURGERY? Yes--Corneal molding is a non-surgical alternative to surgery. Individuals interested in reducing their nearsightedness, but are apprehensive about surgery, now have a safe and effective alternative. No--Orthokeratology has been performed for the past thirty years. Today, with advanced technology and new contact lens materials, this procedure can be completed within days to weeks. Unlike refractive surgery, corneal molding is reversible simply by no wearing your molding contact lenses. 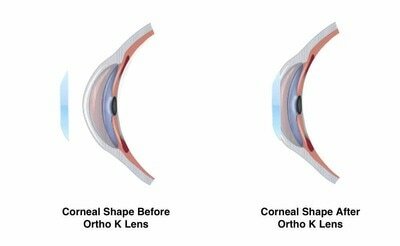 HOW OFTEN DO I HAVE TO WEAR THE RETAINER (MOLDING) CONTACT LENSES FOLLOWING ORTHO-K? This varies with each individual. Some patients have to wear the lens each night while others only need to wear the lens as little as a few night per week. HOW OLD DO I HAVE TO BE TO QUALIFY FOR ORTHO-K? This procedure is beneficial to any nearsighted or astigmatic patient with certain criteria. Age is not a restriction with ortho-k whereas with refractive surgery a patient must be at least 21 years of age.